In Smurf Village, the Smurfs live peacefully among themselves and their leader is Papa Smurf. Some of the Smurfs include Clumsy Smurf, Brainy Smurf, Hefty Smurf and Smurfette, who was created by Gargamel from a lump of clay, but redeemed by Papa Smurf and became part of the village. Gargamel makes it his mission to capture the Smurfs, steal all of their essence, and become the most powerful wizard in the world. After Smurfette accidentally breaks an invention by Brainy, she sees a blue creature hidden by a leaf and follows it straight into the Forbidden Forest, believing the creature to be a Smurf. She loses sight of the creature but discovers a hat was dropped by the possible Smurf. Smurfette ends up being captured by Gargamel and at his castle, she ends up inadvertently revealing the hat, enabling Gargamel to mix up a brew that causes him to locate the village on a map. 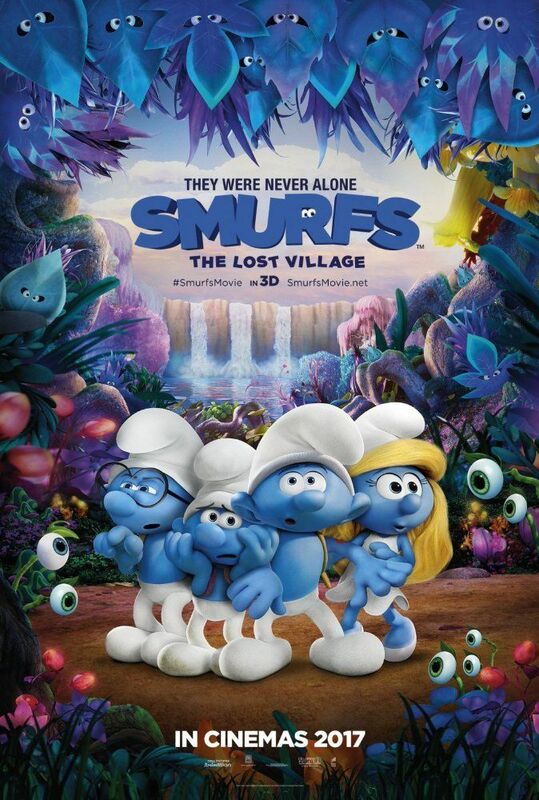 Soon enough Hefty, Brainy, and Clumsy help Smurfette escape and return to Smurf Village, where Papa Smurf punishes them for disobeying his orders and confines them to their houses while dismissing their claims of a lost village filled with Smurfs. Read more on Wikipedia.